Every once in a while, Seth Rogen stars in a movie that seems like it would be a fictional movie he would poke fun at in a different Seth Rogen movie. Enter the Long Shot, a political rom-com that seems like something Paul Rudd would watch in a hotel room in hour three of a Judd Apatow flick. That's not necessarily a bad thing — directed by Jonathan Levine, Long Shot looks pretty fun. 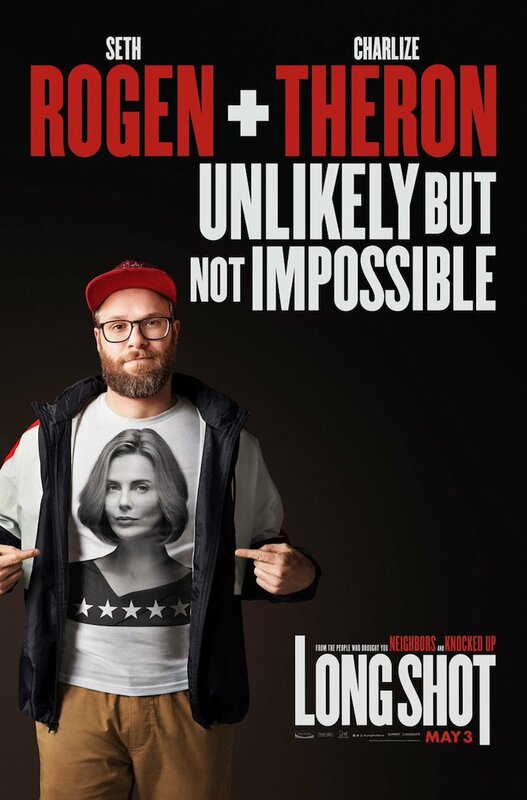 Rogen stars as a schlubby political journalist who gets hired to help his old friend Charlize Theron write speeches in her presidential campaign. Of course, the long shot referenced in the title appears to have a double meaning. Will they fall in love? Will Charlize dump Seth in the third act because it's threatening her political campaign? Will she then decide to choose love over politics but then her honesty and integrity will ultimately win over the nation and everything will be alright in the end? Yeah, probably! Watch the trailer for Long Shot below. The film arrives in theatres on May 3 via Lionsgate.